Since 2003, Dr. MacFabe has been Assistant Professor and Director of the Kilee Patchell-Evans Autism Research Group, Depts. of Psychology (Neuroscience) & Psychiatry (Division of Developmental Disabilities), at the Schulich School of Medicine and Dentistry, Western University, London, Ontario, Canada. He is also a Core Member of the iTARGET Autism Initiative, University of British Columbia, Vancouver. Dr. MacFabe is currently a Visiting Professor at the Centre for Healthy Living and Food Innovation (HEFI), Faculty of Medicine, Maastricht University, Netherlands. Dr. MacFabe’s research examines the role of the role of gut- microbiome-brain interactions on the identification and possible treatments of autism spectrum disorders. His research examining potential gastrointestinal and infective links in autism has been listed among the “Top 50 Scientific Discoveries in Canada” by the Natural Sciences and Engineering Research Council of Canada and was featured on the Canadian–EU documentary “The Autism Enigma.” He was recently called to speak at the Nobel Forum, The Gut in Focus, at the Karolinska Institute, Stockholm, Sweden. Dr. MacFabe won the Max Bramer Award from the American Academy of Developmental Medicine and Dentistry. He was last year’s recipient of the Mark Bieber Award from the American College of Nutrition and is a member of their Board of Directors. Dr. MacFabe's background includes both basic and clinical neurological sciences. His expertise includes: cellular mechanisms of intra- and intercellular communication, metabolism and epigenetics in brain physiology and its implications in stroke, epilepsy, neurodegeneration and neurotrauma as well as neurodevelopmental disorders. He has a particular interest in the role of pre and post natal infectious processes and alterations of the gut microbiome in the etiology and behaviors of autism spectrum disorders. 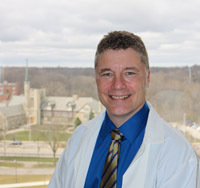 As a principal investigator within the KPEARG, he is actively contributing to the development of novel translational animal models as well as the role of genetics, biochemistry, microbiology and environment on the identification, prevention and possible treatments of autism spectrum disorders. Dr. Davies has extensive experience in developing animal models for neurological disease, including developing biobehavioural assays for complex neurocognitive testing, with an emphasis on striatal- frontal mechanisms of learning, memory and behaviour. Mr. Taylor has extensive experience in immunological and in situ neuropathological techniques utilizing fresh frozen, fixed or paraffin embedded tissues, and is responsible for the management, of our "autism model tissue library.